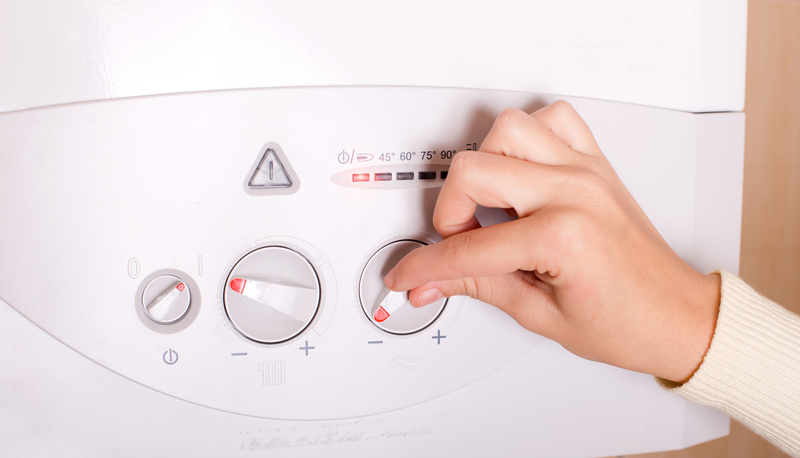 There are a number of different boilers that can be used to heat your home. Choosing which type to go for can be complicated, which is why we have put together this short boiler types guide. It explains the pros and cons of each boiler type so that you can ensure you get the best deal for your home. Combination (Combi) boilers are the most popular boiler type for gas central heating in the UK. They are smaller than other types, making them easier to store, and are very economical to run as they don’t use an external hot water storage tank. Combi boilers heat water directly from the mains, meaning you don’t have to wait for water to heat up or worry about running out of hot water. Because of their small size and the lack of a hot water tank, combination boilers are ideal for people who live in a small house or flat with just one bathroom. They can also help create space in your home. However, you can’t run hot water from a range of outlets at the same time without the water running cold elsewhere in your house. For example, if you currently have a cold-water tank in the loft but want to make more use of this space (e.g. build another bedroom or study), swapping your old boiler for a combination boiler will allow you to free up the space currently occupied by the tank. Unlike a combi boiler, a sealed system boiler allows hot water to run from numerous outlets in your home simultaneously, without interrupting someone else’s hot shower. It uses a hot water storage tank, which will need to be stored in an airing cupboard or other space. But it still takes up less space than a traditional open vent or heating-only boiler, which utilises a second tank in the loft. Sealed system boilers also provide good water pressure, and are quicker and easier to install as many of the individual components of the heating and hot water system are built in. However when you want hot water you’ll have to wait for it to be heated, and it could run out if it’s used too quickly. Most households in the UK have an open vent boiler, which uses two loft-based water tanks together with a hot water storage cylinder in the airing cupboard to allow you to run hot water from more than one outlet at the same time, as with sealed system boilers. One tank takes water from the mains supply and feeds the storage cylinder which, when heated by the boiler, is then able to release hot water to all of the taps in your home. The second tank is the feed and expansion tank which contains the correct level of water for your heating system, allowing for water expansion when the heating is switched on. The downsides with an open vent boiler are that it provides low water pressure, and because it uses a storage system water is only drinkable from one outlet. Also, if the storage cylinder runs cold you’ll have to wait a little while for it to reheat. An open vented boiler is generally inexpensive to replace. However a lot people with this type of boiler decide to switch to an open vent sealed system boiler for their central heating and hot water as it is also relatively cheap to do so – plus it frees up some space as it cuts the need for one of the tanks in your loft. Back boilers are still used in some homes across the UK. They provide reliable heating and hot water, and allow you to run hot water from a range of taps simultaneously, without affecting other outlets. However, water pressure is low and they require a lot of space in your home. In most cases the boiler itself is hidden behind a chimney and covered with a fire front, but you’ll also need an airing cupboard for the storage cylinder and lots of free loft space for two water tanks. For this reason, back boilers are not an ideal option, especially if you have a large home and use a lot of hot water. But if your home already has this system in place, then it may be worth sticking with the same system in the future as they are now more efficient and are fairly cheap to replace – so you could save yourself a lot of money. If you’re looking to buy a good gas boiler you should expect to pay around £1,000, while a good oil-fired one will cost you a little more. Once you have purchased your boiler you will then have to pay to have it installed in your home. The cost of installing a boiler varies widely depending on the type of system you currently use and the type you wish to replace it with, but be prepared to pay a large amount, especially if you’re having a full heating system overhaul.